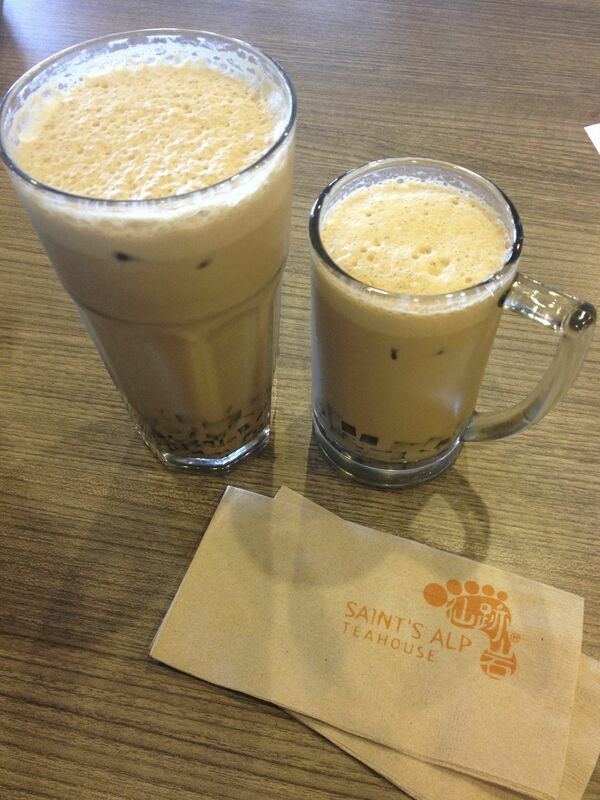 Saint’s Alp Teahouse is a Hong Kong-based chain that boasts of authentic Taiwanese dishes aside from its popular teas. I’ve never actually tried the food there, though, save for one of their pastry bars. I just go there for their coffee. I’ve tasted three of their coffee agar drinks, and I can say that they’re all delicious in their own ways. And potent. Really potent. 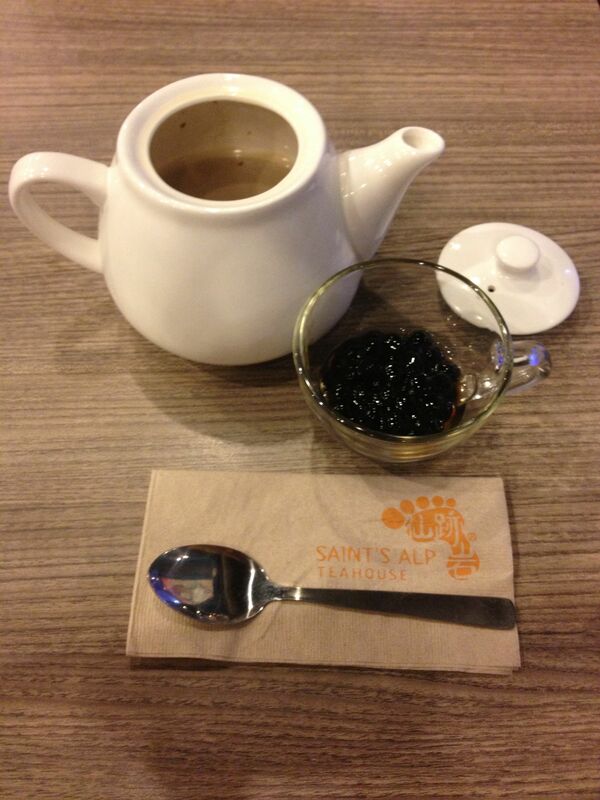 Their coffee has a hint of cinnamon that makes it distinctly Saint’s Alp, and the coffee agar is yummy enough to convert even the most stalwart of anti-sinkers (you know, those who hate sago, pudding, jelly, etc in their beverages). Agar is basically coffee jelly, and theirs is light with just the right taste–not too strong or bitter, the perfect add-on. 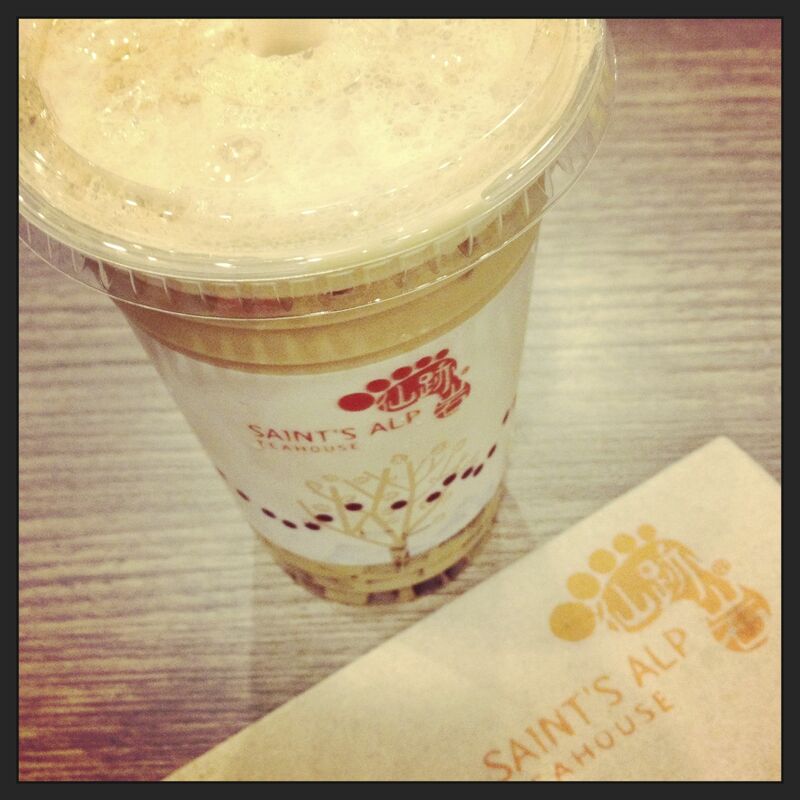 For the coffee agar drinks, they have Sumiyaki Coffee (their bestseller), Almond Coffee, Cappuccino, Mocha, and Frothy Coffee–all of which are available either hot or iced. It’s P140 for the small size and P150 for the regular, regardless of the flavor. The upsize is pretty substantial for the ten-peso price difference, so I tend to round it up and go for the bigger size. I’ve also discovered that it’s better to go for the hot drinks when dining–rather, drinking–in, because then they give you a potful of coffee. Maybe the amount is equivalent to that of the iced orders, but it seems to be more. Then again, it might just appear that way ’cause the cup’s small. Still, it’s good for sharing, which is what many students do from what I’ve observed. Sumiyaki Coffee: For those who like their coffee on the bitter and strong side. I order this when I badly need a caffeine fix. Almond Coffee: For those who like it sweet. It seems to have a similar base as the sumiyaki, but with a nutty flavor that makes it better suited for a dessert beverage. Cappuccino: For those who find the sumiyaki too strong. The taste is very similar, but lighter and creamier. I’ve found that this is a nice compromise between the first two flavors mentioned. You should’ve reviewed my drink as well!